Calling All Creative GoodNotes Planners! CLOSED – Ambassadors already chosen! 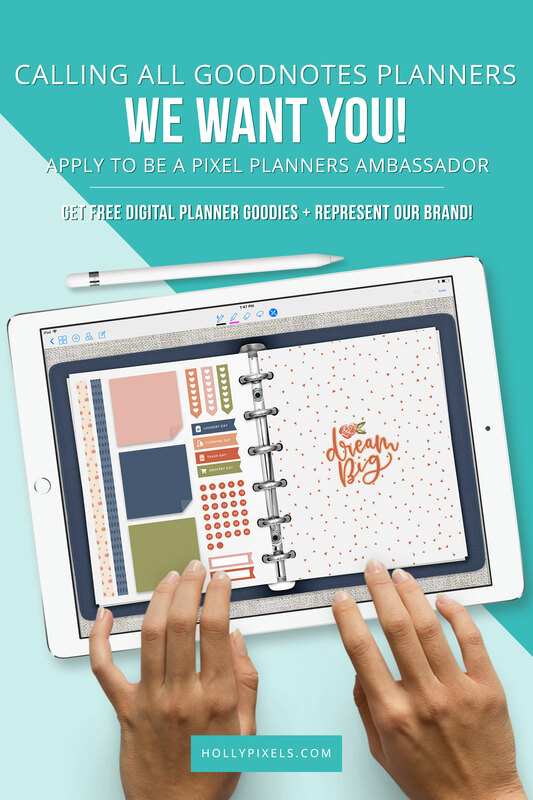 Holly Pixels is looking for creative digital planners obsessed with GoodNotes to join our creative planning team or better known as our new Pixel Planners Ambassadors! Well, we want people that love our Pixel Planners and stickers to help us show the world how fun it is to plan digitally with our products while showcasing their awesome creativity. 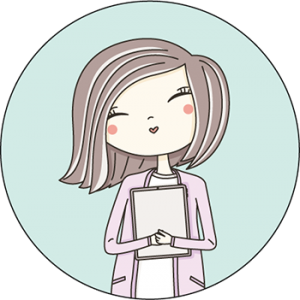 What do you do as a Pixel Planners Ambassador? 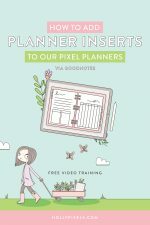 Each month you create monthly, weekly and insert layouts featuring our Pixel Planner pages and stickers and provide us with your screenshots and ideas that we use for marketing our products. Basically we are asking that you provide us with five different screenshots each month showcasing your creative planning with our planners. 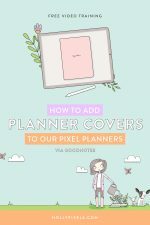 We will create beautiful images to share on social media that feature your creative planning and ask that you, as a Pixel Planners Ambassador also share these images on your social media accounts and relevant group sharing accounts (like Facebook Groups that allow sharing of product designs). Use GoodNotes Planners already (doesn’t have to be ours to apply). 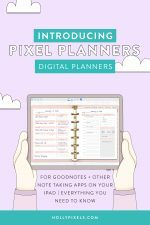 Willing to commit to providing us with a minimum of 5 different creative planning screenshots of your GoodNotes Pixel Planners and designs using SOLELY our products each month at a specified deadline. Commit to quarterly activity. Meaning we want you to stay on the team for a minimum of one quarter. We realize that in an effort to be super creative with us, we will provide you with our products free of charge to get started. You pick the Pixel Planner of your choice from our shoppe and we send you the monthly stickers every month. 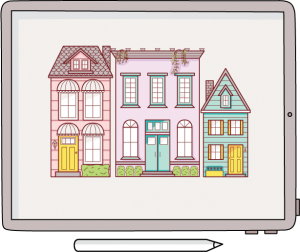 In the event that we have a bonus GoodNotes product we will ask for volunteers to create bonus screens using those (like a Meal Planner or Travel Planner). This won’t be a requirement but to volunteer once is super helpful. Any new Pixel Planner designs that are released will be provided to you ahead of release and we will ask that you help us create screens that we can share for marketing purposes during the launch. At any time if we feel like your activity is dropping we will remove you from the team and stop sending you products. Please make sure you’re fully aware of all our requirements before applying. Attach 5 screenshots of your creative GoodNotes planning (doesn’t have to be our products). The more creative, the better! To screenshot your iPad go to the page inside GoodNotes (close out other tabs) and press the Home Key and the Sleep/Wake button at the same time (https://www.imore.com/screenshot-ipad). Applications must be in by August 15th. We will choose our team and ask that you be prepared to get your September layouts ready for us!